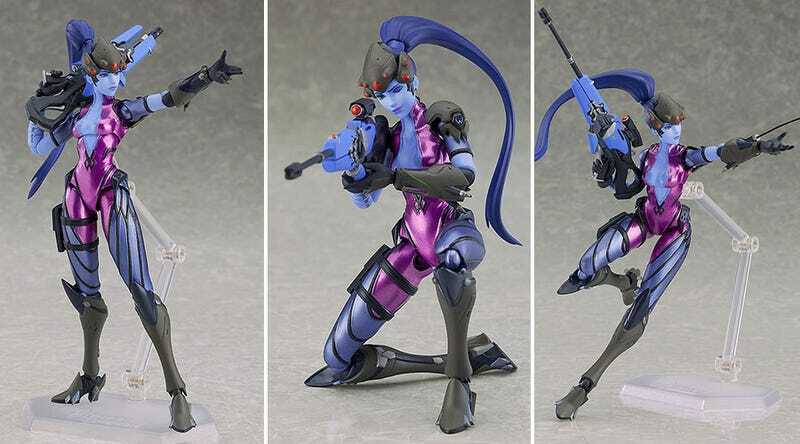 Out at the end of the year, and running around USD$65, this is Good Smile’s Widowmaker Figma from Overwatch. You can order it now. The figure includes her sniper rifle, venom mine, grappling hook and alternate “aiming” squinty face. Widowmaker joins Genji and Tracer as Figma’s third Overwatch figure.